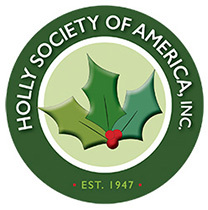 The Holly Society of America is a non-profit organization devoted to educating and promoting the Genus Ilex to all who are interested. For 71 years, our membership has consisted of Professional Horticulturalists, Nursery Professionals, Plant Researchers and Scientists, Home Gardeners, Arboretum Professionals, and those who just love plants. The Educational Programs and Educational outreach we provide through formal on-site presentations, social media, and our website during the year appeal to the public, and is inclusive of all tangents of the Horticultural Industry. Also, in cooperation with the US National Arboretum, the Holly Society of America is the official International Registrar of new selections of the Genus Ilex. Your sponsorship would help enable our group to continue the important work in furthering the aforementioned purposes. We would love to have you be a part of our Holly message! Back Cover ad published on the Holly Society of America Journal which is published twice per year. Your Company’s Rotating Logo and link to your website displayed on the homepage of our website for two years. Your Company’s literature and banner displayed at our Annual Meeting. One complimentary admission to an HSA Annual Meeting to be redeemed within two years of the date of your received sponsorship. Complimentary admission includes lodging (in HSA reserved room) during dates of Meeting, HSA scheduled meals, and HSA scheduled programs and tours. Center pages ad published in the Holly Society of America Journal which is published twice per year. Full page ad published in the Holly Society of America Journal which is published twice per year. Your 1/2 page ad published in the Holly Society of America Journal which is published twice per year. Your Company’s logo and link to your website displayed on the Corporate Sponsor Page of our website. 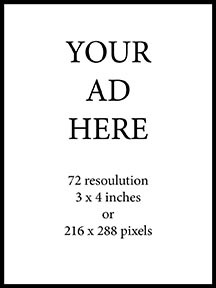 Your 1/4 page ad published in the Holly Society of America Journal which is published twice per year. Membership in the Holly Society of America for one year.